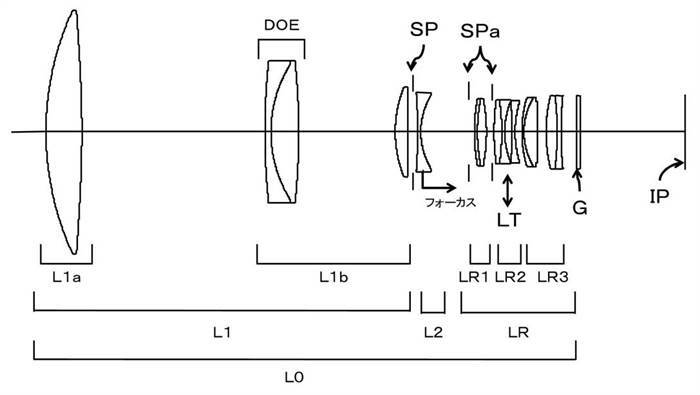 Canon has filed a new RF lens patent in Japan: RF 90mm f/2.8L IS Macro Lens. 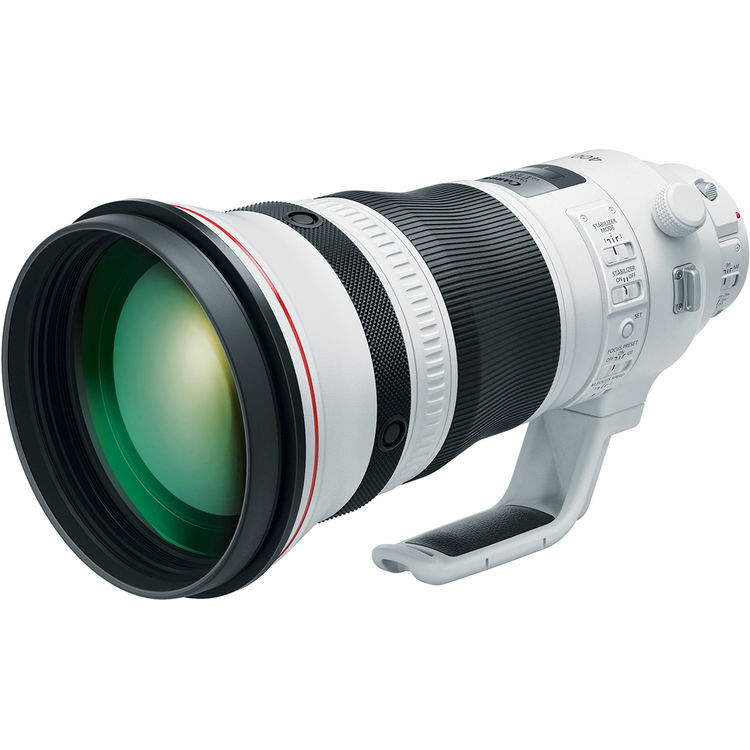 The new EF 400mm f/2.8L IS III USM lens now already in stock and shipping at B&H Photo Video & Adorama & Amazon. LensRentals has just teared down this lens. 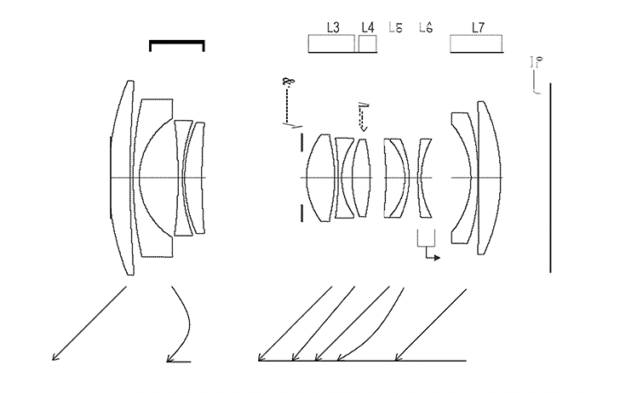 You can read full teardown at LensRentals. 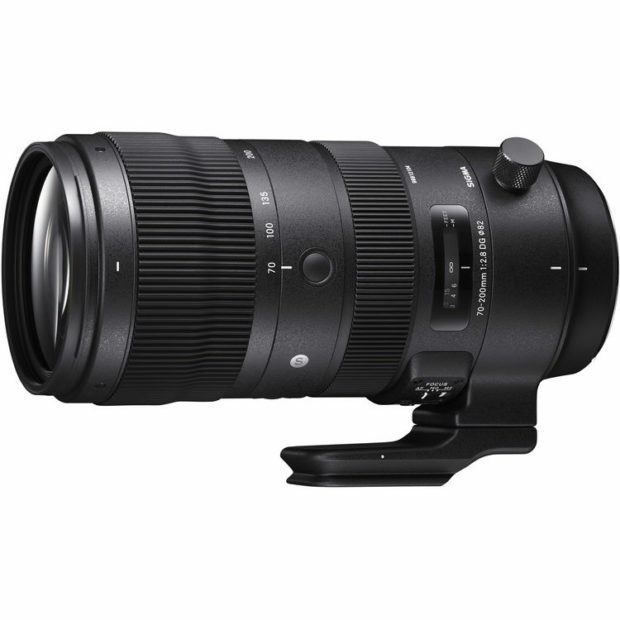 Sigma 70-200mm f/2.8 DG OS HSM Sports Lens Price $1,499, Available for Pre-order ! Sigma today has officially announced the price and release date for 70-200mm f/2.8 DG OS HSM Sports lens. The US price for this lens is $1,499.00, now available for pre-order at B&H Photo Video/Adorama.com. Release date for this lens is in late this month. 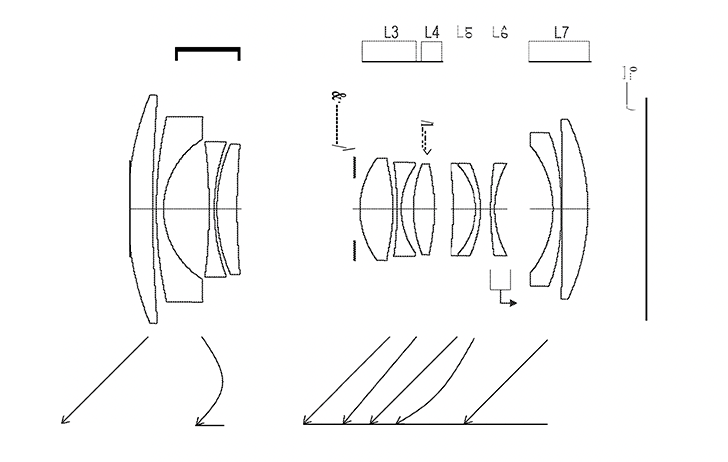 Author adminPosted on December 11, 2018 Categories Canon Lenses, Sigma LensesTags Sigma 70-200mm f/2.8 DG OS HSM Sports LensLeave a comment on Sigma 70-200mm f/2.8 DG OS HSM Sports Lens Price $1,499, Available for Pre-order ! 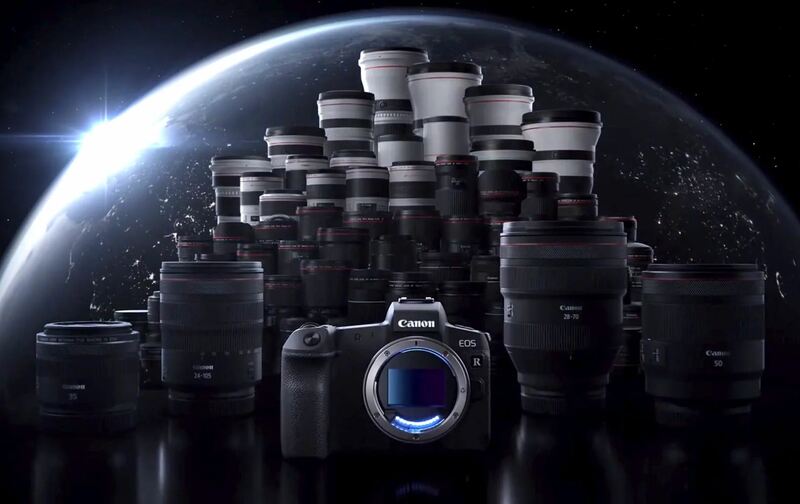 Author adminPosted on December 10, 2018 December 11, 2018 Categories Canon Lenses, Sigma LensesTags Sigma 85mm f/1.4 DG HSM Art LensLeave a comment on Super Hot ! (Another $50 Off !) 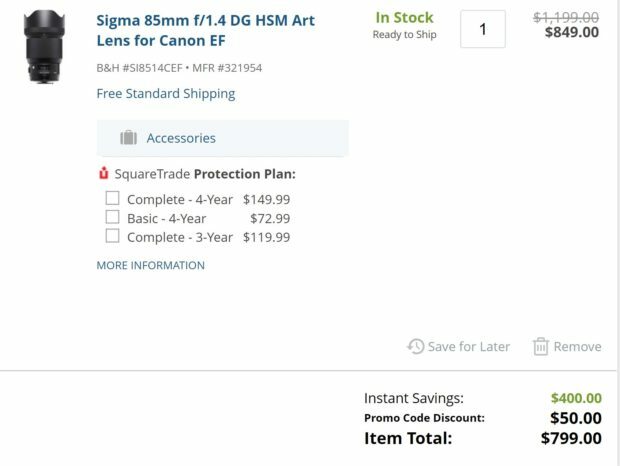 Sigma 85mm f/1.4 DG HSM Art Lens for $799 at B&H Photo Video ! EF 400mm f/2.8L IS III USM Lens now In Stock and Shipping ! B&H Photo Video and Adorama currently has Canon EF 400mm f/2.8L IS III USM lens in stock and shipping. 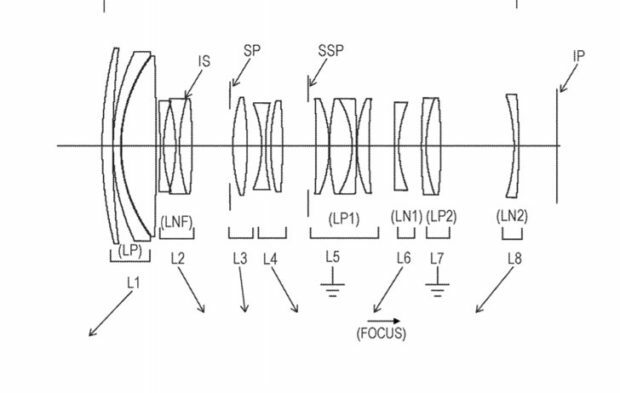 The US price for this lens is $11,999. Author adminPosted on December 7, 2018 December 7, 2018 Categories Canon LensesTags Canon EF 400mm f/2.8L IS III USM Lens, In StockLeave a comment on EF 400mm f/2.8L IS III USM Lens now In Stock and Shipping ! Today Only Deal – Sigma 18-35mm f/1.8 DC HSM Art Lens for $549 at B&H Photo Video ! Today only, B&H Photo Video has a hot deal on Sigma 18-35mm f/1.8 DC HSM Art lens for Canon EF mount for $549.00. Lowest price online ever. 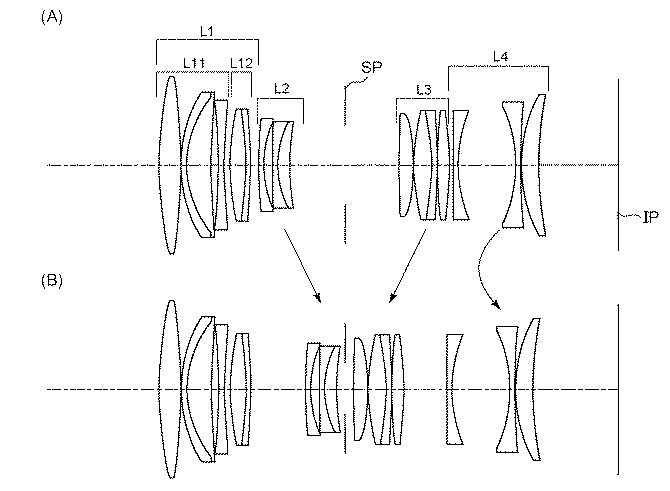 The regular price for this lens is $799 at most US stores. 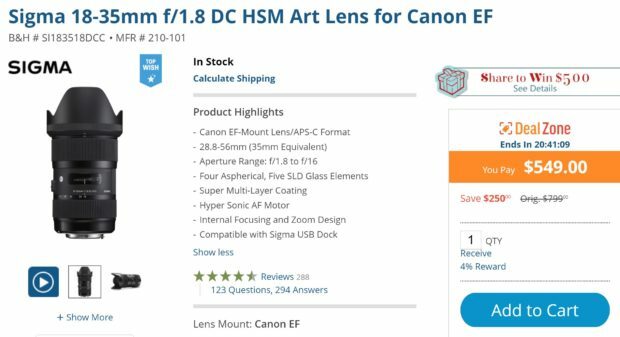 Author adminPosted on December 4, 2018 December 4, 2018 Categories Canon Deals, Canon Lenses, Sigma LensesTags Sigma 18-35mm f/1.8 DC HSM Art LensLeave a comment on Today Only Deal – Sigma 18-35mm f/1.8 DC HSM Art Lens for $549 at B&H Photo Video !